Day 3 in London and another chance to delve into the London fashion trends! For this day, I wanted a look that felt more traditional London while still being able to walk around the city with ease while touring the sites. 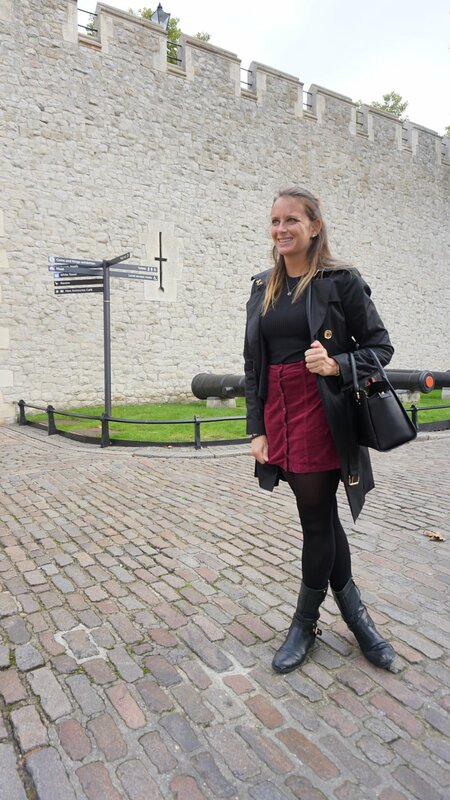 I decided to hop on the corduroy train, which is massively big this season, and planned an outfit based on this gorgeous deep burgundy skirt with gold button details. I paired it with a black sleeveless ribbed tank, black tights, black and gold motorcycle boots with my black cotton and leather jacket that was a staple from my trip. It was a little chillier, so I threw on my black and gold trench paired with my black purse to complete the look. Can you guess what my favorite color is?! 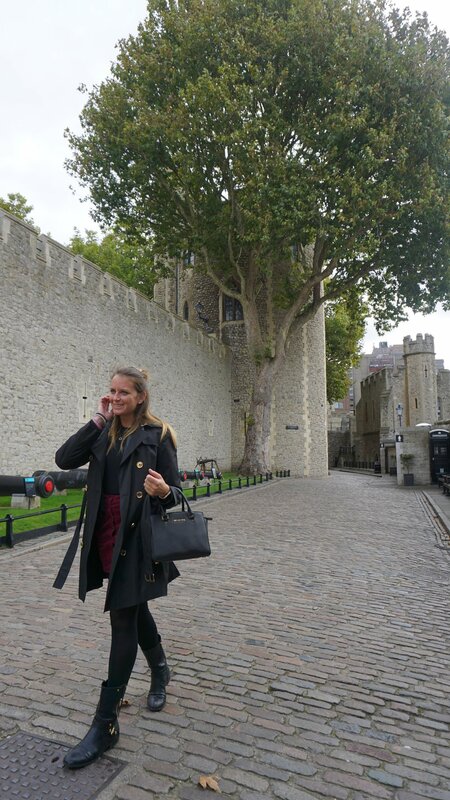 From trekking around the Tower of London, to immersing myself in the sets of Harry Potter at the Warner Brother Studios, this outfit was one step dressier than my typical get-up, but was still casual enough to walk around with comfort and blend in. I got asked multiple times if I was either Italian or Spanish, so I guess I really emulated that European feel I was going for, which was my hope all along. Mission accomplished! For all of my fellow Harry Potter fans, do you recognize the location of my last photo? ?